Riding a bike on a woodsy trail can be just what you need if you don’t run and are looking for the famed state of euphoria that comes with reduced anxiety and a diminished ability to feel pain, usually called “runner’s high.” One of the best ways to explore nature or a city is by cycling because a bike will take you places you won’t be able to go with a car. Trivago’s list of “budget-friendly” travel destinations includes cities that are perfect for cycling and indulging in a craft beer or four. Using a complex algorithm, the metasearch company determined the most wallet-friendly destinations in the U.S.
2. They’ve invested in cycling infrastructure. 3. They’ve established a craft beer scene. For the “Best Value Beer & Bike Cities,” they started off by examining simply the “Best Value Cities” in the country, which were determined by using an algorithm that considers both a city’s hotel prices and the guest reviews and ranks them. In essence, these are the cities with the affordable lodging but are also the “highest ranked” (read: favorited) among travelers. From there, they looked through the top 50 of the “Best Value Cities” and noticed cities that were known for their craft brew scene and their improved cycling infrastructure—information they cross-referenced with reputable beer and cycling sources. For example, Lincoln in Nebraska recently finished a 164-mile trail system and the N Street Cycle Track through the downtown area. Incidentally, you’ll also find 11 craft breweries and brewpubs right there, too. Lincoln is a Bicycle Friendly Community, designated by the League of American Bicyclists. Bike Lincoln is the city’s bicycling information and resource site, featuring information on registering your bike and planning your trip. The N Street Cycle Track is the state's first protected bikeway. It provides a connection from the Arena and West Haymarket to the Antelope Valley Trails, a critical link in the City's 128-mile trail network. This is one of the most underrated cities in America. Boise nabbed the top spot on Time Magazine’s cities that “get it right” in the 2014 “Solutions for America” article. Sitting at the intersection of desert and mountains only adds to Boise’s allure. Boise is also a city with the one of largest bike commuters populations in the country – 3.7% of all commuter trips, 3,860 regular cycling commuters. It also aims to be the “Bicycle Capital of America” in five years. Home to an impressive number of craft microbrews, Albuquerque is the perfect place to sip on some brews. 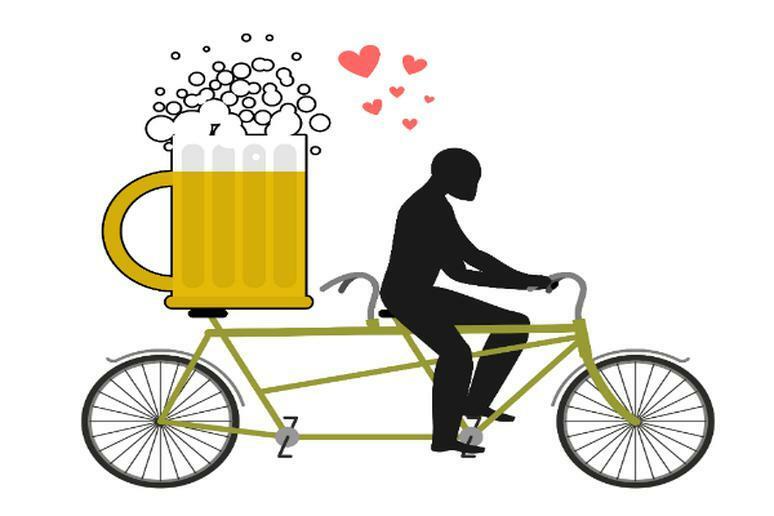 Route’s Bikes and Brews tour offers both guided, and self-guided tours, which include time spent on the gorgeous Albuquerque bike paths, professionally guided beer sampling, and VIP back-room brewery tours. This is one of America’s best college towns for cycling. Madison has about one of the best networks of bike lanes and paths in the Midwest and a B-Cycle bike sharing program to go with it. Physically active people will love it there. You will also find plenty of dive bars, a thriving scene for hiking, fishing and boating since it’s right on the shores of three lakes, Big Ten sports, breweries, local organic foods, a revolving door of shows and concerts. In 2014, it topped the list of the 100 best places to live in the U.S.